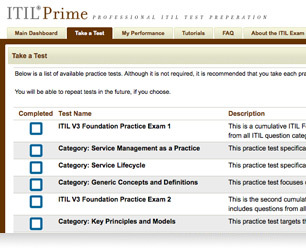 "I found the ITIL Prime tests to be very useful in preparing for the Certification exam. 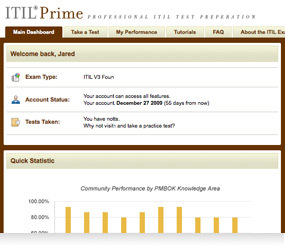 In fact, once I tried one of the exams, I recommended the site to three of my associates, all of whom signed up for it. All of us passed the exam and became certified. " "I used ITIL Prime to prepare for my examination in ITIL Foundation and I got approved so I’m happy and very satisfied with your system." 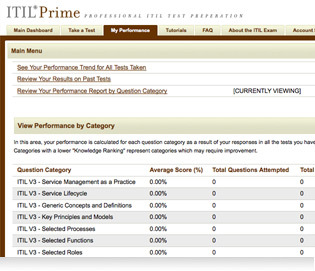 "I found the ITIL Prime sample tests to be extremely valuable for my preparation of the Foundation Exam. 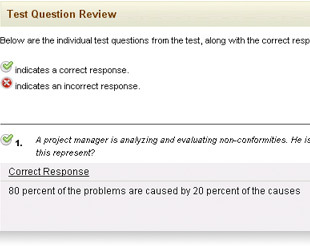 I got 90% correct and thought I had scored 100%. 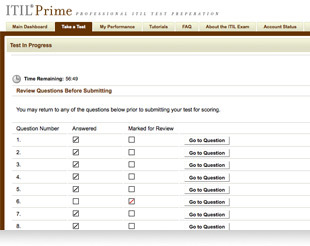 I felt well-prepared going in, and that confidence makes it much easier to take the exam. I finished in 20 minutes of the allowed 60 minutes." 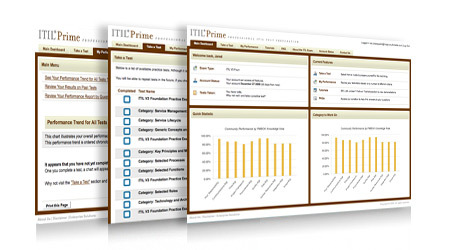 In addition to online web support, we have also included other support functions to help you make the most of ITIL Prime, including a personalized dashboard, and an easy-to use account snapshot, which is always accessible. 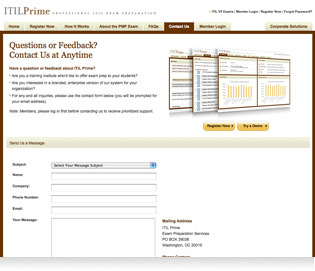 Plus, always check out our very member-friendly FAQs and Dedicated Support. 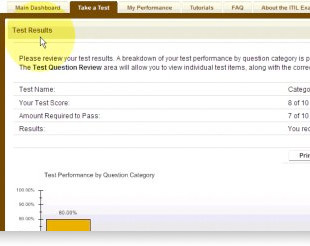 Take practice exams from an official source. 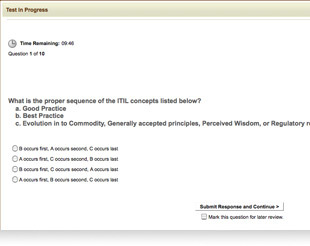 Our practice exam system has been assessed, licensed, and endorsed by ITIL's Accreditation Body on behalf of the UK Office of Government Commerce (OGC). 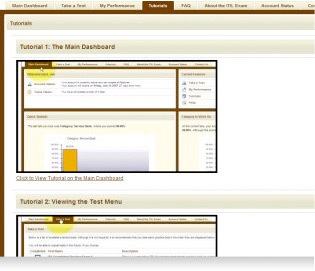 Our content has been validated to reflect the latest ITIL Foundation exam syllabus (ITIL 2011 Edition) and ITIL Core Volumes. 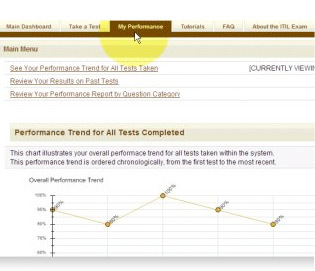 This endorsement is also recorded on AXELOS's official list of assessed ITIL software products.